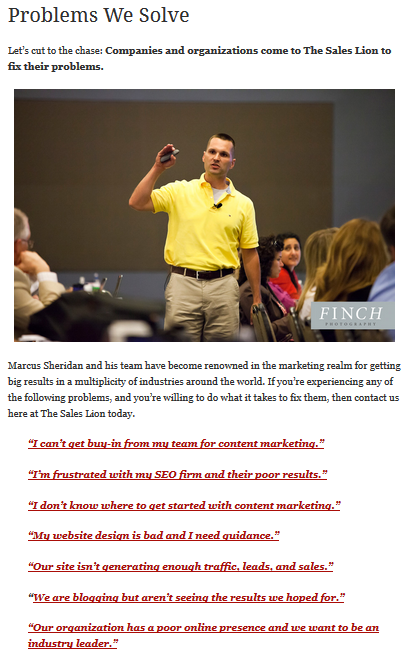 I absolutely love your ebook and a few of us at LocalTrifecta Internet Marketing absolutely love your talks on Content Marketing. One thing: If I'm not mistaken, you said that FAQ pages were the dumbest things ever. Why is that? Ahhh yes, I did say that, didn’t I? ;-) But truth be told, what I should have said is that FAQ pages (on a website), done the traditional way, are the dumbest things ever. And what is the traditional way? Simple—A company lists 5-15 (average) of their most frequently asked questions and immediately, under each, they list a 2-3 sentence answer…and usually not a good answer at that. 1. We’re in the information age. Consumers, when visiting a website, expect to be fed—a lot. Generally speaking, a traditional FAQ page is meager servings, and isn’t going to generate a whole bunch of trust and warm-fuzzies with the reader. 2. From an SEO standpoint, pages of a website are most effective when they’re thematic (focusing on a central theme/keyword phrase). FAQ pages therefore have multiple “themes,” which gives the search engines little to chew on and dilutes the quality of the information. In a post Penguin/Panda era, this simply isn’t going to get it done in most cases. 3. If a company gets truly aggressive with their FAQ page and answers many questions, the page can go wayyyyyy long, which obviously will have a higher chance of losing viewers. 2. Now that the questions are listed, do NOT answer them on the actual page. Instead, hard-link the entire question to the blog post that answers said question. 3. Finally, at the bottom of the page below all the questions, show a call to action for some type of guide/eBook that contains the answers of all the questions listed above. 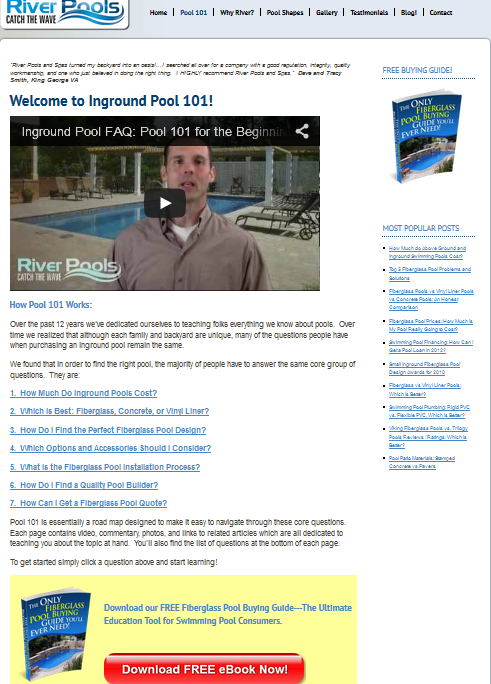 On the River Pools FAQ page--which is actually called "Pools 101," a video, a list of questions, and a call-to-action all make the page incredibly successful for consumers just getting started in their quest for pool ownership. 1. It allows the reader to “choose their own adventure” and take deep dives into the questions most important to them. 2. It allows for more questions to be shown on the page, as there are no answers to take up a lot of space. 3. It’s great for internal linking/SEO strategies. By making the anchor text of the link the question itself, this is sending a clear message to search engines as to exactly what the page/article is talking about—i.e. the keyword phrase it’s targeting. 4. It will lead to a huge spike in “dates” (page views), which will in-turn end up producing more leads and customers to follow. Here at TSL, our FAQ page is actually entitled "Problems We Solve," and is one of the highest viewed pages of the entire site. 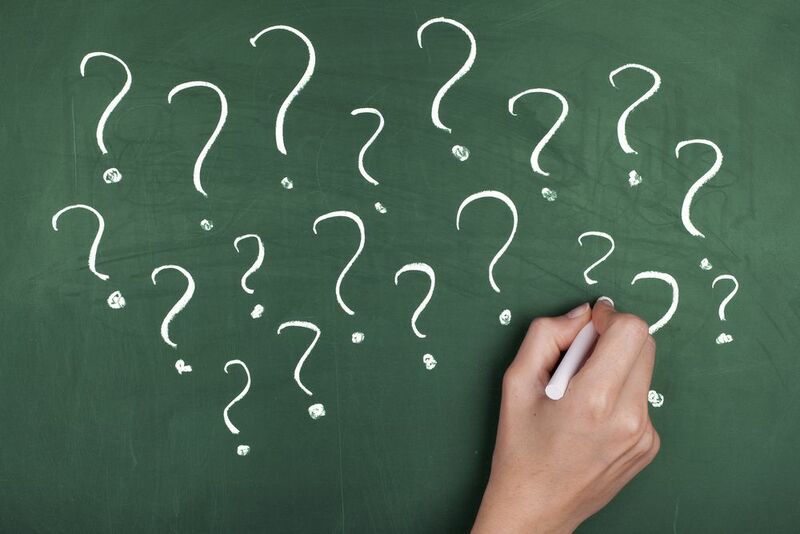 As I mentioned before, this is a very simple and effective way of addressing your company’s most frequently asked questions, but the unfortunate thing is that most aren’t doing it this way. So that’s the simple challenge of this post. Revamp your company FAQ page—assuming you have one—and when you’re done, email me(if you'd like) the changes you've made. I’d love to personally see it and then, further down the road, hear the results as well.